Even though the modern workplace is considerably less rigid than it was a few decades ago, we can’t ignore the fact that organizations have a hierarchy. And no matter how well things are going at work, there will inevitably come a time when you disagree with your boss or supervisor. How you handle yourself in such a situation could impact your future with the company. Does that mean you have to keep your mouth shut rather than voice disagreement? No it doesn’t. But like so many things in life, there are right ways and wrong ways to go about it. Here’s some tips for constructively arguing with your boss in a way that gives you good footing. It’s okay to disagree with your boss, but getting into a shouting match is never a good idea. Even if you have a good working relationship with your boss, an ugly confrontation is likely to cross professional boundaries and have serious fallout. Like losing your job. Keep the argument focused on business — don’t ever resort to personal or character attacks. Don’t use generalizations like “you always _______” or “you never _______.” Using exaggerations and half-truths in an attempt to prove your point will only hurt your credibility now and in the future. That doesn’t mean that you should bite your tongue and keep your opinions to yourself. Instead try to catch your boss after the meeting, mention the specific points where you disagreed, and ask if you can have 15 minutes of their time later in the week to discuss your ideas further. If your boss tells you that you shouldn’t be afraid to voice your ideas or objections during future team-wide meetings, then at least you know where you stand. If you aren’t sure how to have a sit-down disagreement with your boss, the GROW model can provide an excellent structure. The meeting starts by identifying the Goal you’re trying to reach, contrasted with the current Reality of the situation. The next step is to collectively identify the Options that can help you reach the stated goal. Finally, all parties agree on exactly what Will be done, and by when. My organizations have used the GROW model extensively for years, and I’ve seen it work wonders for scenarios that could have easily turned into ugly arguments. 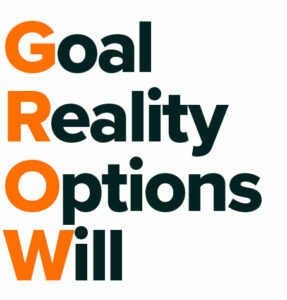 Start using the GROW model today. When I was teaching visual effects in the college classroom, my staff and I had an understanding: never undercut each other in front of our students. We could disagree and correct each other in private, but the classroom wasn’t the time or place for that. To do so would have eroded the trust our students had in each of us. I see this same mentality in lots of business leaders. It’s not that they are opposed to differing points of view — but they may not appreciate having to defend their position in front their own staff. As the good song goes, you’ve got to know when to hold ‘em, know when to fold ‘em, know when to walk away, and know when to run. You might do everything right, and present a damn good case for your point of view, but that doesn’t guarantee that your boss will be swayed. Don’t keep pushing the issue — know when to back off. At my companies, we have operated under a Disagree and Commit principle. Employees are free to respectfully disagree with leadership decisions, and I welcome their input. Sometimes I’m swayed, other times I’m not. But once the final decision has been made, we all commit to it fully. As long as you aren’t crossing any professional boundaries or causing a scene, your boss hopefully won’t mind when you offer a different point of view. But if your boss always seems to be waving your solutions away, or reprimands you for voicing your ideas, then it may be time to run toward another job.